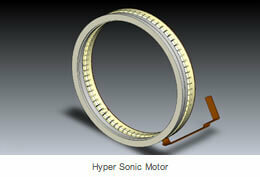 Dimensions Diameter 87.3mm x Length 88.2mm / 3.4in. x 3.5in. There’s a lot to love about the Sigma 10-20mm f/3.5. It has sturdy build quality, great handling characteristics, fast and whisper quiet autofocus and a reasonably wide f/3.5 constant aperture design. Indeed, sharpness across the whole image frame is better than from any other lens in the group, throughout the zoom range. 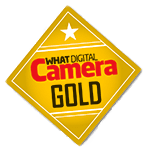 Overall, it’s a superb lens which has now become great value for money to boot. 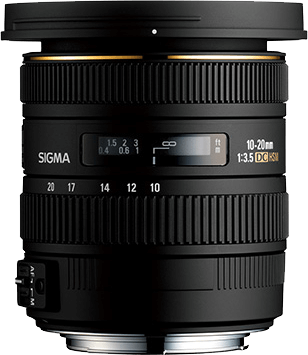 Sigma’s 10-20mm f/3.5 gets top marks for features and build, offering a constant f/3.5 aperture at both ends of the zoom. 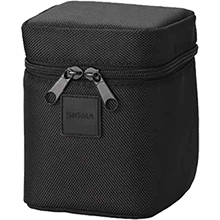 With image quality as solid as its hardy build, Sigma’s 10-20mm f/3.5 is a great lens, worthy of our Silver Award. Sharpness and contrast are excellent from this lens, beating everything else in the test group. Overall it’s a superb lens, which has now become great value for money to boot. The Nikon 10-24mm delivers good image quality and eases ahead of its Canon 10-22mm rival for corner-to-corner sharpness. Even so, each is outperformed by the Sigma 10-20mm, and both look rather poor value by comparison. 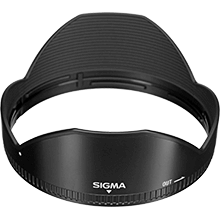 An excellent lens at a great price, this Sigma is clearly the pick of the Crop.